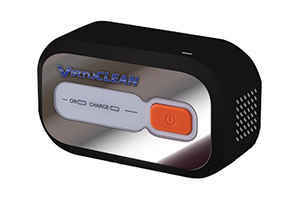 The three leading CPAP machine cleaners, VirtuClean, SoClean, and Lumin, can all sanitize most BiPAP Machines and equipment as well. Despite the variations in size, features, and materials the design of the sanitization devices can still work for those differences. Maintaining a disinfected set of BiPAP equipment is very important for your health and the longevity of your gear. With the ease and thoroughness of one of the BiPAP cleaners, you really cannot afford not to have one be a part of your daily routine. 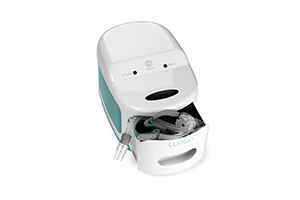 Despite the model of your BiPAP, VirtuClean, SoClean or Lumin can likely work to get your equipment clean. Here are some of the BiPap manufacturers and a few of their models. This list will have a comprehensive set of the features found on some of those machines as well. There are a couple of different styles of AirCurve BiPAPs. Here is some information on those models and some of their more prominent features and options. This BiPAP is a unit that offers leading technology in the industry. The patient’s comfort was the main idea when designing this device. By using programs that help the device be more intuitive, AirCurve can provide ease of breathing for more restful sleep and more effective sleep therapy. This machine is a bilevel device made for providing a higher pressure for inhaling and a reduced pressure for exhalation. This feature affords the user a more natural simulated breathing pattern by using a waveform air pressure to cause a more natural breath. This BiPAP device includes a heated humidifier that will help supply the wearer with moisture in the warmed air. This will increase the comfort of the sleep therapy as well as reduce some of the irritants that cause sleep therapy users not to follow the BiPAP therapy plans that their doctors or care teams have laid out for them. When patients have delays or changes from inhalation to exhalation, this is called cycling. The AirCurve 10 S BiLevel is designed to help control cycling to help the patient get the best results from their BiPAP therapy. The program will detect cycling and then increase or decrease the time between breaths to help maintain a correct rhythm. This machine has a color screen. The options menus are created to be simple to use. From this display, you can change any of the current settings. The AirCurve 10 S can recognize when a patient first breaths into their mask, causing the machine to start up on its own. Similarly, the device’s programming can tell when the user has taken off their facemask and will discontinue supplying air. With this device, an SD card stores the night’s data. The machine records information about the current sleep period. You can review some overview data for as far back as 365 days and more detailed information about the last 30 times that you have used the BiPAP. This BiPAP device is a bilevel machine which uses different algorithms to help a user be more comfortable by offering them better pressure support for their sleep apnea needs. This happens by holding the airway open to maintain a certain pressure for comfort. The heated humidifier helps to provide warm humidification for the comfort of the user. If paired with a heated hose, the temperature settings are perfect and will provide the greatest ease of use. This unit is compatible with the addition of supplemental oxygen for patients who usually sleep with additional oxygen. The soft whisper of the motor allows for peaceful and restful sleep for you anothers in the room. The lighted display screen will detect the level of light in the area and dim itself so that it will not disturb your sleep by being too bright. There are some variations in styles of the S9 VPAP Auto BiLevel. Here is some information on those models and some of their more prominent features and options. The S9 VPAP Auto is a device that has an auto-adjusting pressure bilevel that provides comfortable sleep therapy for users who need greater pressure support. By using different algorithms, this device can adjust the air pressure to make the patients breathing feel more natural. The VPAP Auto also provides the option of fixed bilevel air pressure. This allows those that can tolerate a fixed level a more manageable setup. The S9 VPAP Auto BiLevel has a program that helps it to sense a leak and compensate for any discrepancies that would cause. The whisper quiet motor reduces noise pollution so that the user and all other individuals in the room will not be disturbed by the sound and can get a restful night’s sleep. There is an option to get the heated humidifier for this model. 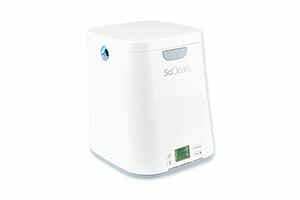 If opted for, this humidifier will help with dryness in the user’s throat and sinuses. The S9 VPAP Auto BiLevel has controls that are very intuitive and easy to use. With bright colors and well-lit screens, the patient can follow a step by step setup process. This system is easy to navigate and customize to your personal needs. The S9 VPAP S is a device designed for people who require a BiPAP or a higher pressure level. This device provides the ideal solution for those patients. 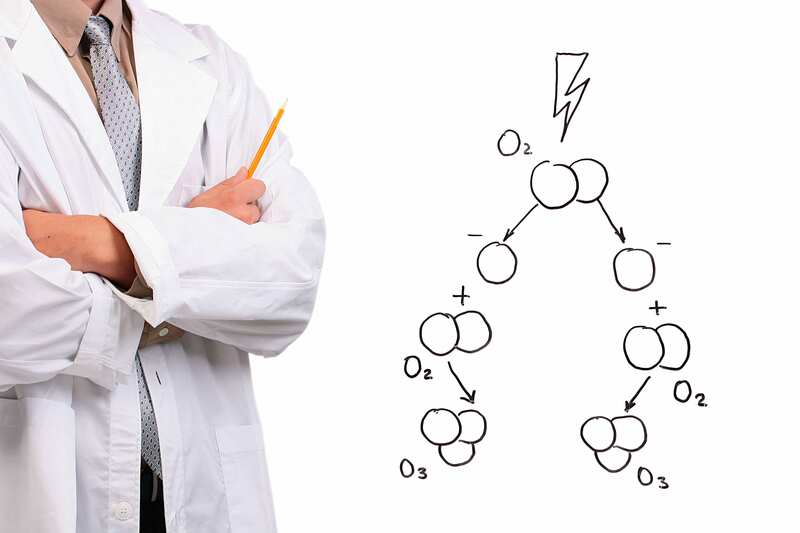 There is a range of pressure levels available for both inhaling and exhaling. This device allows you to track your progress using one of the programs specific to this model. The operation of this sleep system is very quiet and will not disturb the user or any bed partners. The S9 VPAP S has the options of getting the heated humidifier. If you opt for the humidifier, it will help with climate control. This will provide the user with the most comfortable temperature and humidity levels for sleep therapy. This device has programs that were made to work with the regular respiratory pattern. The machine will increase the pressure gradually as you fall asleep to help transition you to the prescribed air pressure. Another program that this device features, allows it to realize that a leak has occurred and to compensate for whatever level of pressure loss that has happened. The S9 VPAP S can record sessions and measurements from that time frame to help you and your care team to determine if your sleep therapy is working effectively or not. Here is some information on this model of the DreamStation and some of its more prominent features and options. The DreamStation Auto BiPAP is streamlined, easy to use BiLevel device with auto-adjusting pressure. Nightly data is recorded and made available in various ways. This option allows you and your care team to track the effectiveness of your therapy. DreamStation BiPAP provides BiLevel air pressure. This allows for a higher pressure when you inhale and a reduced pressure when you exhale. This will enable the programming to monitor the patient on a breath-by-breath timeframe. The sleek design of the DreamStation BiPAP allows it to be less intrusive in your bedroom. It boasts a large full-color front facing display. This device has easy to navigate menus and user-friendly systems that allow the BiPAP machine to be readily utilized by every patient. Part of the screen display feature is an ambient light sensor. This means that when you dim the lights for sleeping your BiPAP device will also dim the light on the screen so that it does not disturb you while you sleep. This device does not come with an already equipped humidifier. You can opt to have one installed though. The Water chamber on the humidifier that can accompany this BiPAP machine is dishwasher safe. You can quickly put it in and take it out if you don’t want to use it. Along with the heated humidifier, DreamStation also offers a heated tube that you can purchase to help with throat dryness or rainout. The DreamStation Auto BiPAP can help the patient track and watch how effective their sleep therapy is. The RESmart BiPAP Auto Bi-Level machine provides multiple features that increase the users comfort while still offering effective sleep therapy. This device delivers dual pressures that can be adjusted while using. This device will auto adjust pressure with each inhalation. It increases the air pressure as needed and reduces it with exhalation. The RESmart BiPAP Auto can be set to a standard pressure if the changing force does not work for the user. This machine has an integrated heated humidifier. The heated water adds a level of comfort by increasing the moisture content of the air. This humidifier has a multiple heat level setting for optimal customization. The RESmart BiPAP can track how many days the device is used, how many days had more than four hours of therapy, the average pressure for the treatments, and much more. The onboard memory in this machine can hold up to 365 days of data. One ability of this device is that it can detect when a mask is on the patient. Once the machine senses the facemask is in use, then the sleep therapy will begin. Similarly, the device can detect when the user has taken off their mask and will shut down the system. The LCD screen features a backlit display that is user-friendly and easy to navigate the menus. The light sensor will naturally adjust the brightness of the screen based on the light level in your bedroom. By accessing the menus on this display, your BiPAP therapy is very customizable for your comfort. Regardless of which of these models of BiPAPs you use, it is critical to keep your machine and its equipment sanitized for your health and the effectiveness of your sleep therapy. Traditional cleaning methods can be messy and time-consuming, however with the use of a BiPAP sanitizing device you can experience a simple to perform, and convenient for any lifestyle, process that allows you to clean your BiPAP equipment every day. Imagine the peace of mind you would be provided knowing that your equipment such as the headgear that keeps your mask on, the facemask, the tubing, and even the tub of your humidifier, is all being kept sterile to help it work as it is designed to with no obstructions. Now imagine those same steps that are keeping your gear in optimal condition also keeping you safe. This is what can happen in just a few simple steps with a device like the VirtuClean, SoClean, or the Lumin. By utilizing the BiPAP cleaners, there is assurance that over 99% of all unwanted particles such as bacteria, mold, fungus, or viruses are eliminated from your equipment. You can get more restful sleep knowing that your gear is working as effectively as it can while you are breathing the cleanest air possible.